I have been watching a lot of Christmas movies lately. They started in early to mid November and are continuing right up to Christmas I suppose. That’s fine by me, but I imagine there are those who are already sick of all things Christmas. Their loss, my gain. There are a handful of these movies that are classics and very well done. They have a compelling story line and no matter how often you watch them, there is always something new that you take away with you. I suspect it’s because we change from year to year and our experiences over the past year affect the way we interpret what we see. Movies like “A Christmas Carol”, “Miracle on 34th Street”, “It’s a Wonderful Life”, “White Christmas” and “Holiday Inn” have been a part of my Christmas since I was a child. In recent years, other movies have crept onto my TV screen. 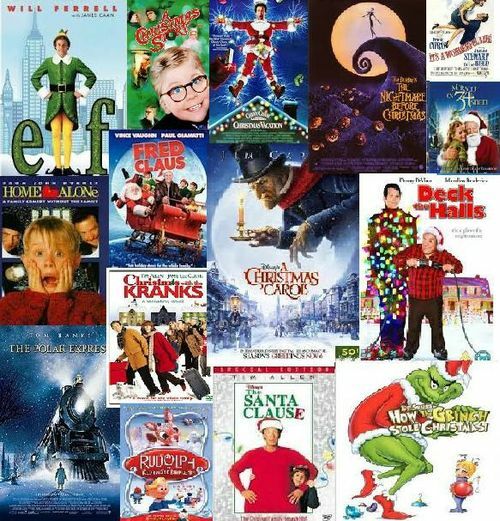 Movies such as “Scrooged”, “National Lampoon’s Christmas”, “Home Alone”, “Elf”, “The Santa Clause”, and “How the Grinch Stole Christmas” have snuck into my personal playlist. There are others that I have left off of my list because it is my list. I didn’t mention the Christmas cartoons that we watch, but they are there and now with the grandkids, you can bet a new generation will be watching these cartoon favourites. Most of the popular TV shows will have Christmas themed episodes and I always look forward to seeing what the writers will come up with each year. It must be difficult to create something new and entertaining every year, especially for those long running shows. These early Christmas movies tend to be low budget and sometimes not very well written. The acting sometimes leaves a little to be desired and pretty mechanical. Those are the ones which don’t warrant a second, third or forth watch in the years to come. Some are pretty good though, even with poor production values. The stories are well written and the characters seem to have the magic of the season about them. Yes, the sets are pretty cheesy and recognizable as an LA mall or studio back lot. The snow is cotton batting sheets and shredded white plastic. Still, not too bad. It reminds me of the very old movies that were filmed in a couple of weeks with the studios using recycled props and sets. You had to use more of your imagination back in those days, but I had plenty of that. Maybe we are slowly moving back to that kind of show. Movies cost so very much now, with the CGI and large salaries the top actors demand for their services. The small movie maker can make a good movie just as long as there is a good script and the actors make me want to care about the characters. Who am I kidding, I’ll watch pretty much any crap they put on the tube, at least once and if there isn’t another option, I’ll watch it twice.